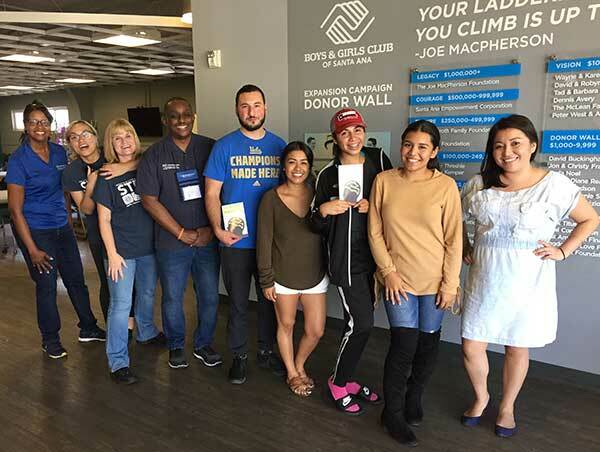 5 Saturdays Shares Agility, Job Readiness, and Effective Communications with Boys & Girls Club Central Orange Coast Team leaders. Team leaders will become 5 Saturdays Learning Facilitators to tweens (6th to 8th graders) and teens (high school) students. 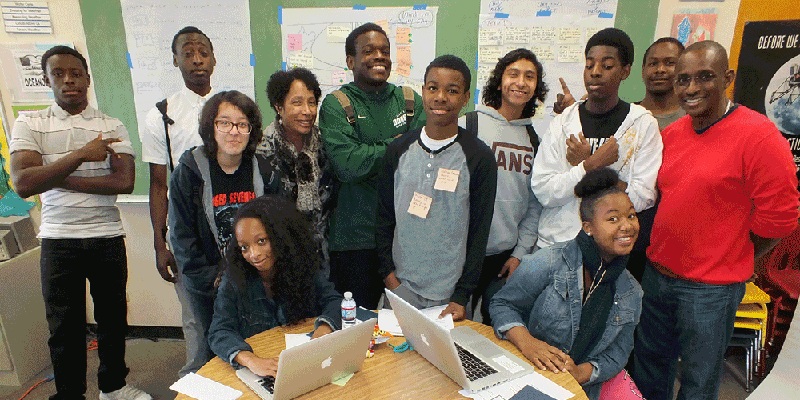 "In my first year as the Early College High School (Costa Mesa) Principal this past 2015-16 school year, I felt it necessary to introduce our students to the 5 Saturdays Program the summer following that school year. If you look at the objectives of the 5 Saturdays Program, it is a program intended to expose our young people to “a Career in IT & Business through collaborative and project-based learning.” The ECHS educational objectives and the 5 Saturdays Program objectives are virtually in parallel with each other. Our students need to know which community industry sectors are in high need of which IT & Business certainly fit that description. 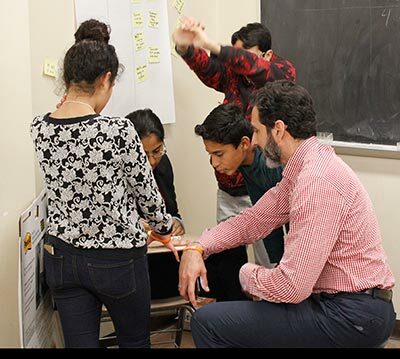 The 5 Saturdays Program does an excellent job in connecting our students with local professionals in these fields through performing tasks and assignments designed to build their career-ready toolbox within the context of IT & Business." 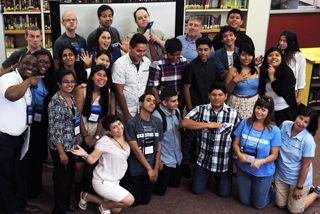 5 Saturdays provides a college campus experience for students from Estancia and Early College High School. 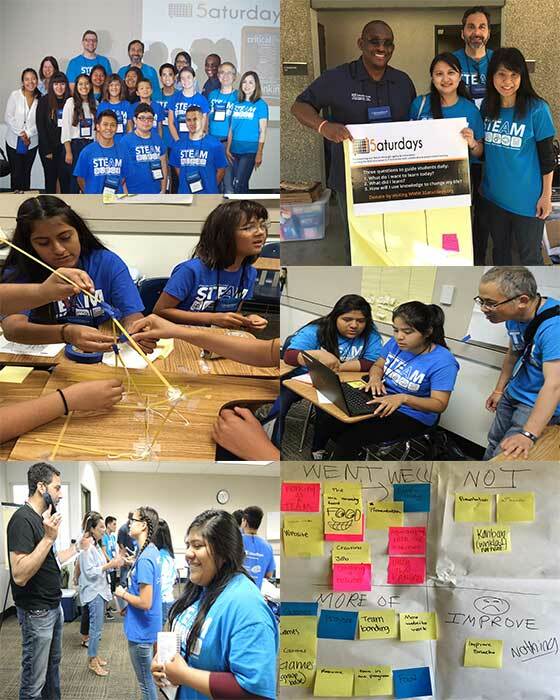 This summer, 12 students from Estancia High School (Costa Mesa, Calif.) completed the 5 Saturdays program, receiving an in-depth introduction to agility with Scrum and Kanban, software development concepts with Alice, and critical life skills that included creative and critical thinking. The high schoolers also received job readiness training, including resume development and interviewing skills. The students were recognized at the last program meeting to receive their Associate Agility Team Leader certificate. They also shared their final computer-programming project, which pulled together all of the program’s learning components. Story telling is an important part of the 5 Saturdays’ learning experience, and the students created several fun and entertaining versions of the “Lucy Goes to Mars” story, during which a human-like robot named Lucy travels to Mars to recover a broken Mars Rover named Spirit. Dr. David Martinez, Estancia High School’s assistant principal said the 20-hour program furnished the students with technical and interpersonal skills that will greatly benefit them in their future academic and career endeavors. “A big thanks to Dave Cornelius and the 5 Saturdays’ program staff for spending the time with our students over the course of the last month and a half,” Dr. Martinez said. 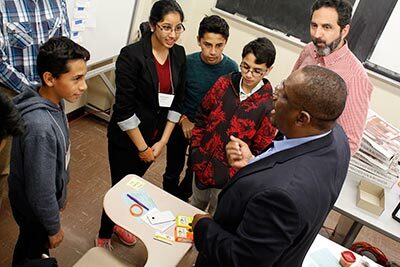 “I saw the huge benefit our students received in participating in this innovative program, and I hope to see the program expand to many more students over the course of the upcoming school year." Click here to learn more about Estancia High School. In addition, 11 volunteer professionals/learning facilitators received their "Agility Facilitator" certificate after completing training and leading the 5 Saturdays program at Estancia High School. Learning facilitators are a key part of the 5 Saturdays program. Using the curriculum created by founder Dr. Dave Cornelius, learning facilitators mentor students throughout each five-week student workshop. Estancia High School will host a second 5 Saturdays program in the Fall 2015. 5 Saturdays outreach to Toastmasters Youth Leadership program. 5 Saturdays provides training and learning resources to help volunteer professionals create their own local business enterprise and build value in their communities. In 2014, we had the pleasure of working with Holman Community Development Corporation (Holman CDC) as our first community. A non-profit associated with Holman United Methodist Church in Los Angeles, Holman CDC exists to provide solutions to inequities in youth employment, as well as job readiness training, housing, and education. Holman CDC partners with small businesses, government entities, non-profits, and concerned citizens to develop and implement initiatives and programs that are socially and economically responsive and effective. 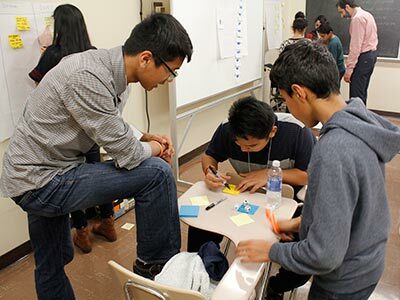 As part of our collaboration, 5 Saturdays worked with high school students between the ages of 14-18 at the Los Angeles facility teaching Scrum (an agile method) and software development programming concepts. We made the program fun and relevant to the their lives. Five Holman CDC students completed the mandatory attendance, and three students finished their projects and received their associate Scrum Master Award. The students were excited and proud to earn their certification. We were honored and blessed to share our technology experience with them. They’re our future technology leaders!